ArtCenter Manatee is focused on moving into the future. Opening the door to new audiences, new partnerships and new experiences while we keep the best of what we already have. In order to improve our long-term health and adapt our programming to meet current and future needs, to upgrade our operations to ensure the flexibility that will allow us to not just fix things but to try new things, and to facilitate expansion, we must invest in our future now. It’s just not enough to pay our bills and set aside a few dollars every year to repair the air conditioners. A number of years ago a national group put forth the idea of “change capital” for nonprofits. The idea is that in order to move forward, we need to make an investment in ourselves now. Instead of scrambling to raise money to try new things, such as woodworking, stone carving, or glass, or to maintain what we consider essential programming, such as Arts & Healing, we need funding that will not only sustain, but that will propel us. The Florida Department of Cultural Affairs will tell you that the arts provide an invaluable benefit to both individuals and communities. The arts draw new residents, new businesses, they add vitality to a community. They can cite evidence that for every $1 spent on the arts, $7 to $9 is returned to the economy. What a great investment. Yet when funding time comes … In 2017, arts funding in Florida was cut by 93.4%. That’s huge. 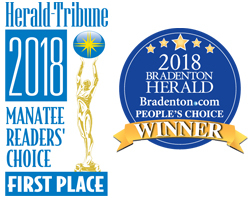 We qualified for and were recommended for $90,000 in matching funds. We will receive just under $6,000. Arts groups are now struggling to support current programming, forget about expansion. The Giving Challenge, which has provided much needed support in recent years, will return in May of 2020. What are you deeply passionate about? What do you love? What brings you joy? We know the answer for us: You. 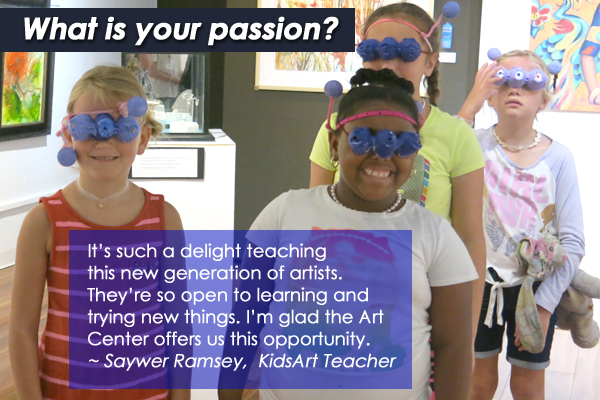 Will you join us in funding our passion by making a year-end tax-deductible gift to ArtCenter Manatee? If you are 70 ½ or older, you can make an IRA Charitable Rollover gift to ArtCenter Manatee while obtaining a considerable tax benefit for yourself. By making a roll-over donation to ArtCenter Manatee, you help to keep the arts alive and vibrant in our community by providing support for our education and exhibition programs. Thank you for helping us change lives through art!